Quaint 1-bedroom unit on second floor, attached to 4 bedroom oceanfront home. Fully equipped. Can be rented alone or in conjunction with home. Peek ocean view. 1 small outdoor parking space for compact vehicle. 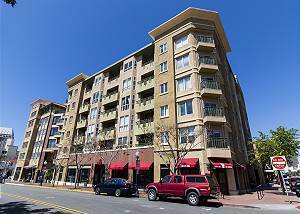 Super quiet and secure one bedroom condo in gated community. All the comforts of home with onsite parking and laundry facilities. Enjoy the gentle sounds of the ocean steps away from this lovely property. 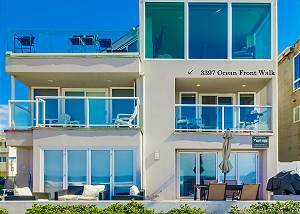 Ocean View Unit On the 2nd level located behind a one story oceanfront home. Rooftop deck with full ocean view. An Economy, no frills accommodation in a great location. 1 outdoor parking space available. You'll love this clean and updated one bedroom apartment located in the peaceful South Mission Beach neighborhood. With A/C, one designated parking space, private entry, and open floor plan, this spacious apartment lives like a large luxury condo. New to the vacation rental market! This home will surprise you by how comfortable and luxurious it feels. Recently remodeled with careful attention to the finishes and decor. This tropical style home comfortably accommodates 4 people. 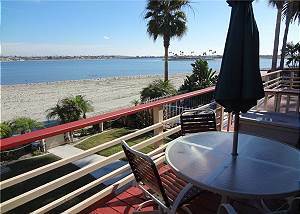 Located on the sand in South Mission Beach with amazing channel views and just steps to the ocean. The large windows and open floor plan makes this one bedroom bright and breezy. Located directly on the Bay, this one bedroom condo will provide a peaceful environment for all day relaxation. Have a BBQ on your private balcony while watching your family play in the sand or paddle in the bay. 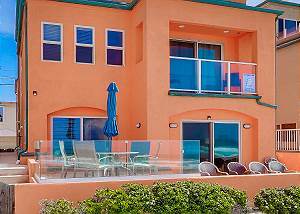 This 3 bed / 3 bath condo is beautifully designed for a trouble free beach side vacation. 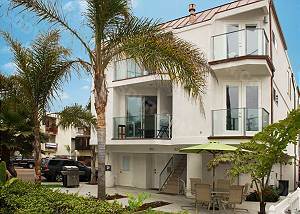 There are three private balconies, each offering a different view of the peaceful South Mission Beach area. The master suite is a spa like retreat with fireplace. 30 Night Minimum Year Round. 2 bed 2 bath condo directly on the bay. This condo is beautiful and bright, percent for your 30 night stay. With 1350 square feet this condo will comfortably sleep up to 4 people. Include lines, towels, Wifi, and cable. This spacious 4 bedroom 3 bathroom home is perfect for a family vacation. The open floor plan makes for fun and comfortable family time while the separate bedrooms provides space for all to relax and unwind after a sun filled San Diego day. This modern 2BD/2BA ground floor condo is beautifully decorated with a bright and cheery sea side theme. Enjoy the peaceful South Mission Beach area from your own vacation rental, steps to the waterfront. Newly Remodeled Kitchen in this large two story Crown Point home. Fully furnished with a patio and large back yard for BBQ's and family gatherings. 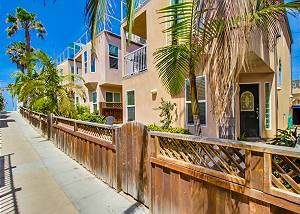 Located walking distance to bay and 1 mile to ocean. Large driveway can accommodate multiple vehicles. 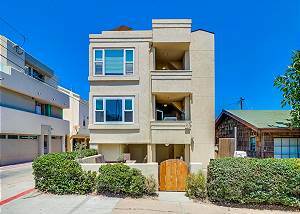 This is one of the most desirable 2 bedrooms in Mission Beach. Stylish ground floor condo with large oceanfront private patio. Sunken living room opens to front and side patio. Master bedroom on the oceanfront.1 parking space in garage and 1 outdoor space. This welcoming, spacious 1,350SF townhome is fully stocked for fun! Front patio, BBQ, wetsuits, towels, surfboards, boogie boards & more! Two car garage. Sleeps 8: 2 Queens, 1 Full, 1 pull-out couch. Combine with 805 El Carmel to sleep 14. 3 Bed / 2 Bath Multi Level Ocean Front Condo. Amazing ocean views from main living area and master bedroom. Large ground level patio directly on boardwalk just steps from the sand. Enjoy this welcoming, spacious 1,600SF townhome. Brand-new (2016) open floorplan kitchen/DR/LR, BBQ, furnished deck; wetsuits, towels, surfboards, & boogie boards. Two car garage. Sleeps 8: 2Queens, 2Twins 1Sleeper. Combine with 803 El Carmel to sleep 16. Cute beach house just steps to the sand. Great family location. Sleeps seven. This is the perfect home for a relaxing family vacation. Located on the sand in South Mission Beach this home feels like you have your very own private beach. You can let the little ones play in the sand while you relax on the patio or grill on the BBQ. Recently remodeled ocean front condo with cheerful seaside decor. This two bed two bath rental can comfortably sleep up to six people. All furnishings and bedding are new as of July 2016. Located walking distance to entertainment, shops, and restaurants. Bay Front Vacation Rental 2 bed, 2 bath. Sleeps up to 6 people with 1 King Bed, 1 Queen Bed, and 1 Trundle Bed. Includes cable TV, DVD, WIFI, Fireplace, Washer/Dryer, and Linens/towels. Multi level condo with private ground floor patio & BBQ. 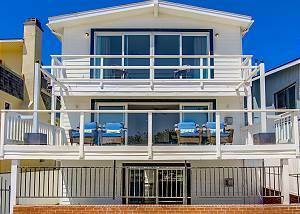 Looking for a ground floor ocean front home? 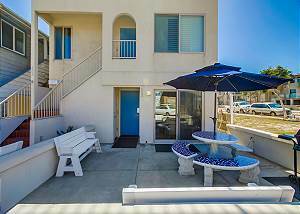 This condo is perfect for a family vacation located directly on the Mission Beach boardwalk. Let the kids explore the beach while relaxing on your private ground floor patio equipped with a BBQ grill. 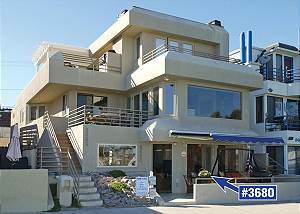 This sensational property is one building back from the ocean, just a couple steps to sand!! 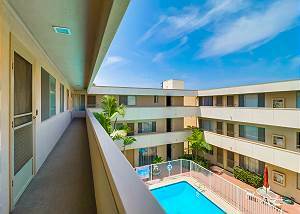 Ideally located and within walking distance to Belmont Park, shops, entertainment, and restaurants. Welcome to tranquility. This Bay Front home a perfect place to relax after a lovely San Diego day. 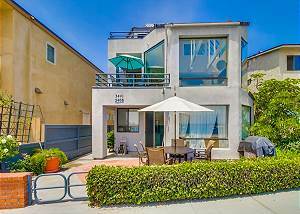 Just steps to the bay a couple more to the ocean, this home is in the perfect Mission Beach location. 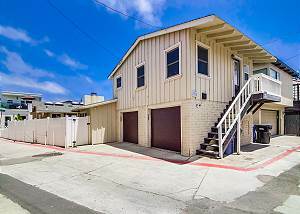 Multi level 3 bedroom / 3 bathroom stand alone home located in North Mission Beach just steps from the beach. Ocean views from the upper level balcony off master bedroom. Fully equipped kitchen, walking distance to shops, restaurants, and entertainment. 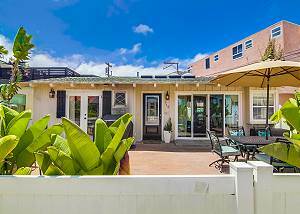 This Cape Cod style town home is perfect for your family vacation, conveniently located just steps from the Pacific Ocean, Mission Bay, and famous Belmont Park. Great open layout for enjoying family time as well as comfortable bedrooms for relaxing. 3 Bed 1.5 Bath home with garage parking located in North Mission Beach. This newly remodeled home is a clean, comfortable and accommodating vacation rental.Just steps to the ocean, shops, restaurants and entertainment. Ideal for a family of 7. 7th Floor Ocean Front Condo located in a secure building with designated parking, pool, spa, sauna, and rooftop deck. Just steps to the ocean, shops, restaurants, and entertainment. Comfortable furnishings and panoramic ocean views, this condo is perfect. Beautiful beach side cottage fully equipped with all comforts of home, including air conditioning. With ample outdoor space and a clean, modern interior, this home will provide a comfortable and memorable family vacation. Located directly on the bay this three bed, three bath condo is ideal for your relaxing vacation. 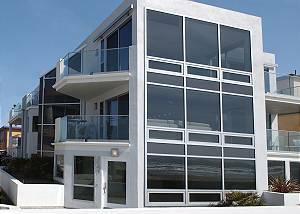 The main living area is an open floor plan on the second floor with a private balcony overlooking the bay. The master bedroom also has amazing bay views. 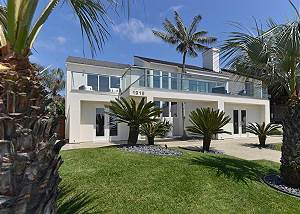 Two-story Ocean Front stand alone home in South Mission. Master BR-King, BRs #2 & #3-each 1-Queen, BR# 4-One Queen Murphy & two triple twin bunk beds. Spacious patio area with BBQ. 2 car garage with laundry facilities. Pet friendly with non-refundable fee. 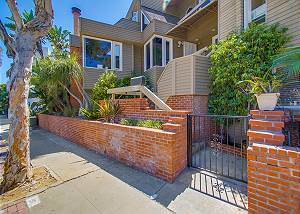 3 Bed / 3 Bath Home With Stunning Views Of Mission Bay, Pacific Ocean, and Downtown. 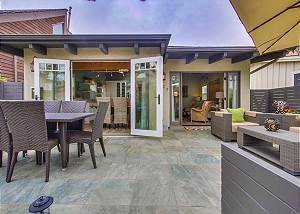 Multi level outdoor deck space with hot tub and beautifully landscaped yard makes enjoying San Diego fun and relaxing. 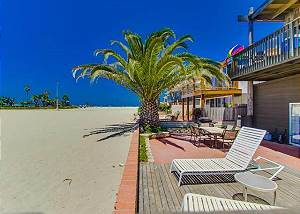 This beautiful beach house is the perfect vacation rental for your family, located just one home back from the ocean. This spacious and open floor plan has high wooden beam ceilings making it a charming and comfortable home for your family to share. 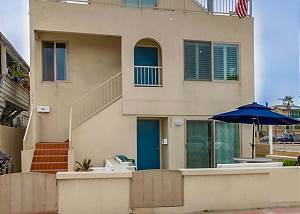 3BD/2BA Ocean Front - Recently Remodeled, One Level, Ground Floor Condo. Ocean Views from Living Room, Dining Room, Kitchen and Patio. The boardwalk is an extension of your patio. **Newly Remodeled** This 2 bed 2 bath ocean front condo is a clean and comfortable space for your family vacation. Enjoy ocean views from the open living, kitchen, and dining areas. 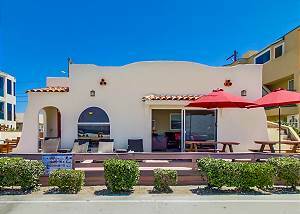 Located right on the ocean near popular shops and restaurants. Best location in Downtown San Diego. 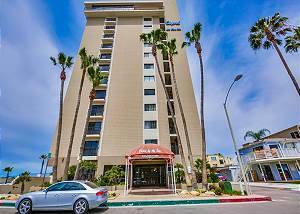 Walking distance to the convention center, Petco Park, Gaslamp Quarter, and Seaport Village. This clean and modern condo will be the perfect location for your San Diego vacation or meeting at the convention center. Deluxe Ocean Front Condo On 2nd & 3rd floor.This dream house on the beach is the perfect vacation getaway for larger families. Ocean Front Luxury Accommodations, second floor condo. Great location, beautifully furnished. Three separate patios, and views from most rooms. Located in Mission Beach with all of the finest amenities one could expect for a truly exceptional vacation. 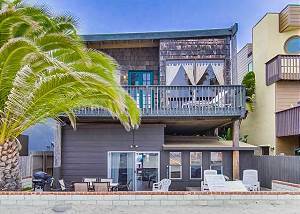 3BD/2BA Oceanfront With its original charm and traditional Spanish Style this 1930's Ocean Front home is perfect for the no fuss getaway. Everything you need for a great vacation with the family. 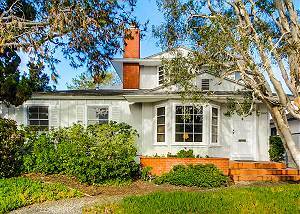 816 Monterey Court - Monterey's Best! 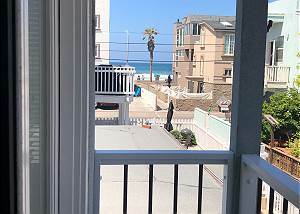 Recently renovated condo; new kitchen, appliances, windows and flooring makes this rental perfect for your Southern California beach side vacation. Professionally decorated and well maintained this condo is your dream vacation home. This large single family home facing the channel in South Mission Beach is in a private and peaceful location for your family vacation. Recently completely redecorated with new furniture. This four bedroom condo has panoramic water views. The quiet of South Mission gives you privacy but only minutes walk to local attractions, restaurants, fun in the sun games. Secured Building with electronic locks for property and parking. New Luxury Vacation Rental. Enjoy California in this spacious and modern home. The Pacific Ocean is your front yard and a large beautifully landscaped area is your back yard. Split level four bed, three bath with plenty of space for a family of eleven. Ground level beach cottage 3 homes back from Oceanfront Walk. Nice patio with ocean views, kitchen w/granite counter tops. Queen Bed in bedroom and sofa bed in living room. 1 car garage included. 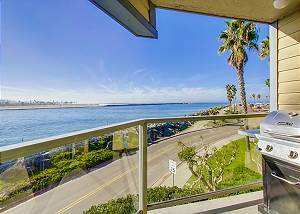 San Diego Vacation Rentals brings you the very best selection of waterfront home and condo vacation rentals in San Diego. Browse through our extensive and exclusive listings of beachfront and bay front properties from across the Mission Bay Park region of San Diego. 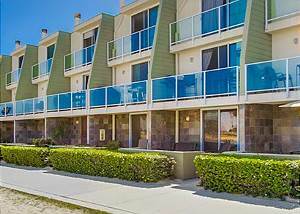 Whether you’re looking to visit for a weekend or the entire summer, our San Diego beach rentals offer you the ideal location to relax, explore the surrounding area and enjoy your stay. 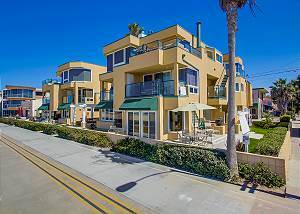 Have you always wanted to enjoy the beautiful sunshine and view of an oceanfront home in San Diego? Or perhaps you’ve fallen in love with the exciting water activities, shopping, nightlife, and sightseeing around the San Diego area, and can’t wait to come back for more. For the first time visitor or longtime fan, we have just what you need. We offer a diverse range of beach vacation rentals suited for every type of visitor and covering a wide range of locations. Choose from predominately bay and oceanfront vacation rentals throughout the Mission Bay Park region, including Mission Beach, Mission Bay, Pacific Beach, La Jolla, and Ocean Beach. 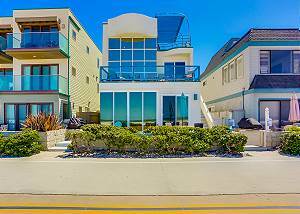 In addition to our many oceanfront vacation rentals, we also offer a wide selection of vacation rentals throughout the San Diego area. Narrow your selection to find the right match for you by choosing your preferred property type, beach location, number of guests, vacation dates, and other preferences. 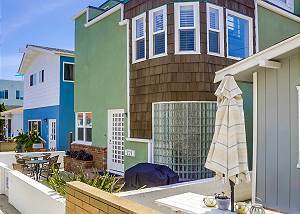 Our beautiful selection of vacation rentals in San Diego offers something special for every type of visitor for however long they’re looking to stay. Planning a romantic getaway for just the two of you? Our San Diego beach rentals offer the perfect escape for couples looking to enjoy the gorgeous beaches and water sports or dining and nightlife of San Diego. Looking to bring the whole family for a week, month or the whole summer? We offer plenty of spacious and comfortable homes with plenty of room for everyone and convenient access to the beach and nearby family activities. 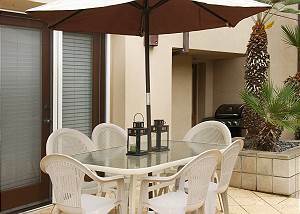 For those looking to plan special events, family reunions or corporate housing for short or extended stays, we also offer numerous vacation rentals in San Diego to accommodate all types of groups for the duration of your stay. 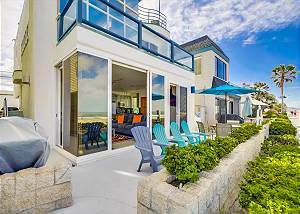 Discover why so many San Diego visitors trust San Diego Vacation Rentals to help find them the ideal vacation rentals for their visits. Search availability for San Diego beach rentals using our easy and convenient search tool or contact us today to learn more.